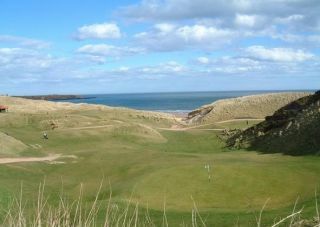 A visit to Cruden Bay Golf Club leaves no doubt as to its recent ranking among the top 100 courses in the world. 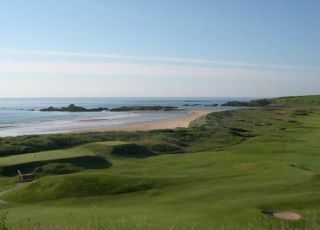 Another design of Old Tom Morris, Cruden Bay is a thinking person's course, requiring good judgment and club selection. 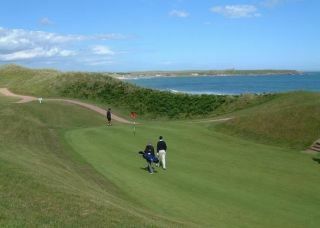 Its figure eight configuration results in the North Sea winds hitting each hole from a slightly different direction. 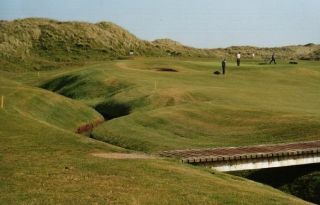 In addition, contoured greens concealed by sizable dunes create a number of blind shots. 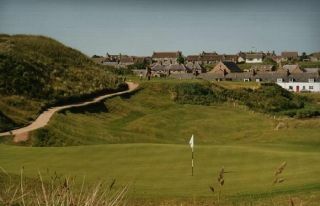 The course offers scenic views of local fishing villages and the North Sea and across the bay to Slain's Castle, the inspiration for Bram Stoker's Dracula.